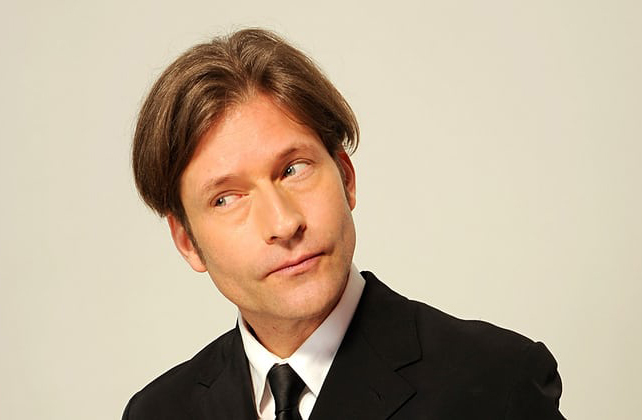 Bonus Episode with the one & only Crispin Hellion Glover! He's in town later this month and making appearances at the Alamo Drafthouse in Brooklyn on September 19th & September 20th. Then at the NJ Horror Convention & Film Festival on September 23rd & 24th. Depending on which event you attend he'll be screening either "What is it?" & "It is fine. EVERYTHING IS FINE!" He's directed both (and is currently working on a third). He'll also perform one hour dramatic narrative readings of different profusely illustrated books projected behind him otherwise known as "Crispin Hellion Glover's Big Slide Show Parts 1 & 2" Then you'll have lots of opportunities to engage with Cripisin because there'll be an extended Q & A followed by a book signing.